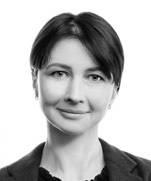 Natalia Selyakova is a partner in Dentons’ Kyiv office and Head of Dentons’ Banking and Finance, Restructuring and Insolvency practices in Ukraine. Natalia has in-depth knowledge of Ukrainian and international law and practice, complex international transactions and instruments. She has acted as lead counsel in numerous transactions involving syndicated finance, project finance, trade finance, Eurobonds issues, FinTech, M&A and settlements, debt restructuring and insolvency matters. CRI Group: Advising the client on debt and corporate restructuring of Mriya Agro Holding. Ad Hoc Creditors’ Committee (AHC), which comprises Franklin Advisers, Inc., BTG Pactual Europe LLP, TCW Investment Management Company, and T. Rowe Price Associates, Inc. (through WEIL GOTSHAL & MANGES): Advising the Ad Hoc Creditors’ Committee on Ukrainian banking and finance law matters in the ground-breaking Ukraine’s launch exchange offers in relation to 14 sovereign and sovereign-guaranteed Eurobonds with outstanding principal amounts of c.US$18 billion. Export Development Canada: Advising in connection with two loans granted to Ukraine for the total amount of C$400 million. National Bank of Ukraine: Pro bono advice to the National Bank of Ukraine on liberalizing regulations in the Ukrainian currency market. European Investment Bank: Advising on its US$85 million real estate financing to MHP, the largest producer of poultry in Ukraine. Bank Polska Kasa Opieki, Bank Handlowy w Warszawie, mBank and ING Bank Śląski: Advising on the restructuring and increase of the amount of the PLN 495 million (approx. US$147 million) multipurpose financing to Inter Cars S.A.
Sberbank (Switzerland) AG: Advising on the launch of its commodity trade finance programme and the structuring of commodity trade financings in a number of jurisdictions. BNP Paribas: Advising in connection with a range of commodities trade finance facilities to Ukrainian trading companies. ING Lease: Advising on the sale of its lease portfolio for the amount of UAH 500 million to the leasing company “OTP Leasing”. 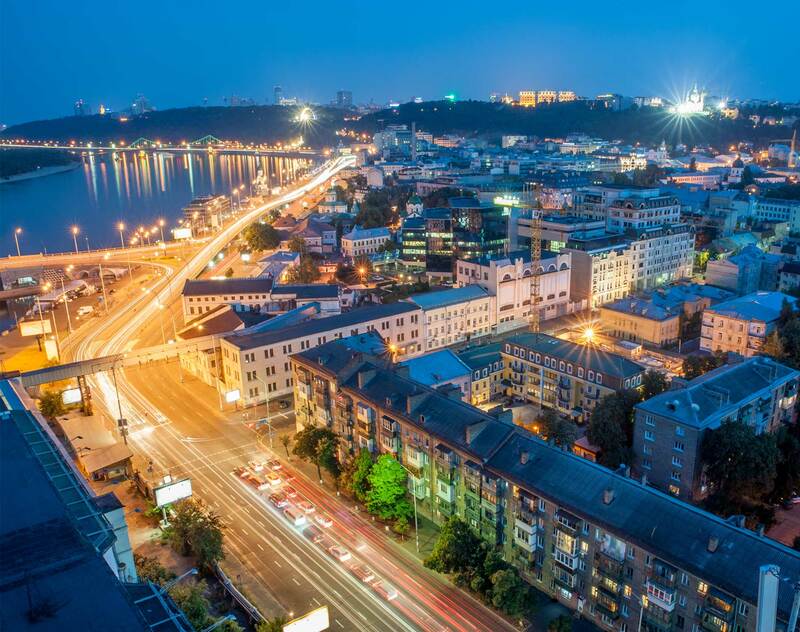 EBRD: Advising on a US$75 million loan to Ukraine’s PJSC Raiffeisen Bank Aval. Black Sea Trade and Development Bank: Advising in connection with the committed trade finance facility to Public Joint-Stock Company “Bank Vostok”. Alfa Bank Ukraine: Advising on the US$72.5 million syndicated loan facility to the bank. The loan will be used for trade finance and general corporate purposes. UniCredit Bank AG and PJSC Ukrsotsbank, coordinating mandated lead arrangers: Advising a syndicate of banks on a US$150 million syndicated loan facility to PJSC Creative. Unicredit Bank, DEG – Deutsche Investitions- und Entwicklungsgesellschaft mbH and Nederlandse Financierings-Maatschappij Voor Ontwikkelingslanden N.V. (FMO) (the lenders): Advising on a €62.5 million syndicated loan to PJSC Lutsk Automobile Plant (LuAZ) in Ukraine. PJSC “Ukrsotsbank,” a part of UniCredit Group: Advising on the outsourcing of the bank’s IT systems to IBM. As part of the 10-year agreement signed in December 2011 and valued at approximately US$200 million, IBM will resume responsibility for the development and support of PJSC “Ukrsotsbank’s” information systems and applications as well as the management of the bank’s IT infrastructure. Citibank: Advising on US$20 million and US$55 million syndicated and secured loans to one of the leaders of the confectionary market of Ukraine. Bank Austria Creditanstalt AG, UniCredit Bank Ltd. (the lenders): Advising on a US$31.8 million loan to Atlantic-Pacific Ventures LLC and its further restructuring. PJSC “Kreditprombank”: Advising on the restructuring of its external and internal debt for approx. US$300 million with more than 20 creditors. Nadra bank: Advising on the reorganization and restructuring of the bank’s external debts (trade related indebtedness and Eurobonds) with approximately 70 bank lenders and 30 Eurobond holders. Euroterminal LLC: Advising in relation to a UD$27 million loan facility from the European Bank for Reconstruction and Development (EBRD). BNP Paribas (Suisse) and Bayerische Hypo- and Vereinsbank AG, lead arrangers: Acting as legal advisor in Ukraine in relation to a participated loan agreement with one of the leading Ukrainian producers of coal, coke and steel as the borrower for a total amount of US$300 million. ING Lease Ukraine: Advising on the €76.7 million lease back trasnaction. Argo Real Estate Opportunity Fund Limited (AREOF): Acting as legal advisor in Ukraine in relation to a €75 million loan facility from Marfin Laiki Bank. IFC, a member of the World Bank Group: Acting as legal advisor in Ukraine, in relation to a loan agreement with ProCredit Bank Ukraine for the amount of US$20 million. Confidential client: Acting as a lead counsel to a leading international investment bank (the lender) on a US$930 million loan to the State Road Administration of Ukraine under sovereign guarantee and its further restructuring. The Legal 500, Ukraine 2018: Hall of Fame Lawyer for Banking and Finance. Best Lawyers, Ukraine 2014, 2016-2018: Recommended lawyer in Banking and Finance Law. Ukrainian Law Firms: A Handbook for Foreign Clients, 2016-2018: Leading individual in Banking and Finance/Restructuring, Capital Markets/Liability Management. Yurydychna gazeta, 2016 - 2018: Partner Natalia Selyakova has been named among most successful women in law in Ukraine. University of London, 2006, LL.M.